Everyday low price! 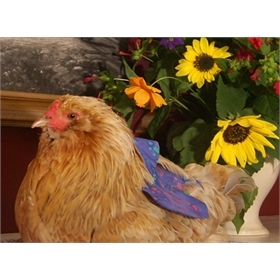 Have to bring a chicken indoors to recuperate? Or do you just prefer a house pet? 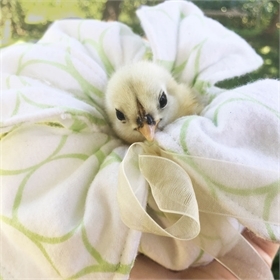 With a comfortable fit that slips on easily and snaps securely, our handmade diapers let your chickens make a clean getaway from the outdoors. 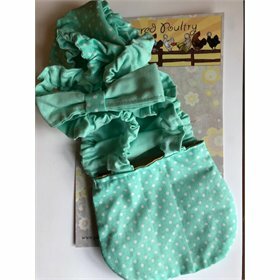 The poo pouch is lined with moisture-resistant fabric that washes easily, and the entire diaper is machine washable for freshness. 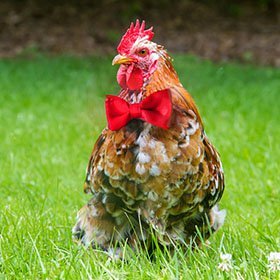 In three sizes and a variety of fabric designs*, your chickens will be fashionably fit for good, clean fun. Injured hens needing to recuperate indoors. Show birds needing to be separated from the flock in the months before before the show. 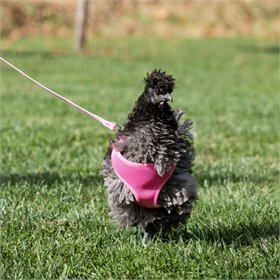 Small: For most bantam chickens. 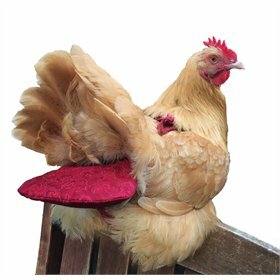 Breastbone to tail: 6-10"
Large: For large breeds and roosters. 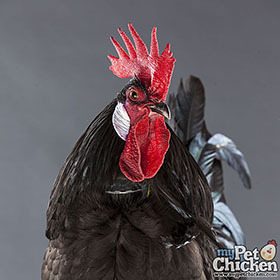 Breastbone to tail: 8-14" Examples: Barnevelder, Delaware, Faverolles, Marans, Orpingtons, Plymouth Rocks, Rhode Island Red, Sussex, Welsummer. 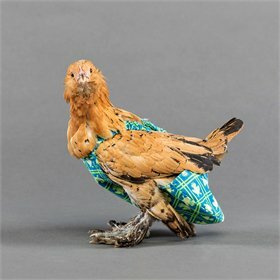 If the size you order doesn't fit your bird, just mail back your unused diaper to us within 30 days, and we'll send you a new one for free. 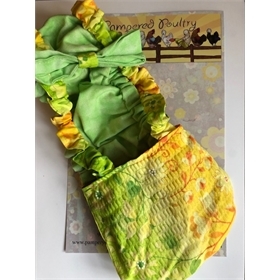 Handmade by the talented women of the Dominican Republic's Sewing My Future Cooperative, these fabric saddles will protect your hens from injury while providing a meaningful livelihood to the proud women who craft them. 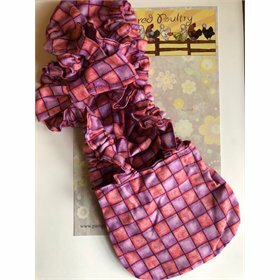 While we make every effort to ensure the fabric/pattern you purchase meets your expectations the actual color/pattern may vary somewhat based on availability at the time of purchase.